2. Install and Open the Dream11 App. 3. Login or Signup for your Account. 6. Add Rs.250 to your Account via PayPal. 7. 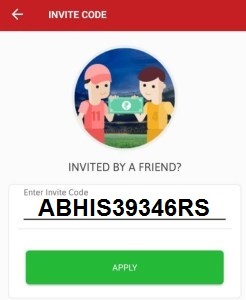 Get Rs.250 Cashback in your Paypal account and Rs.250 dream11 cash will be transferred to your bank when you participate in betting from that amount and win the cash. (If you have average-good knowledge in cricket, then you will surely get some rank and based on that rank, you will earn based on your rank). Make sure you select players who are going to play Next match. 8. Offer valid till until its showing at Dream 11 wallet Payment page.